Year 1 is taught by Mrs Greenaway. She is supported by Mrs Fowler and Mrs O'Sullivan. To find out more about what we are learning, please select from the links below. The children enjoyed exploring capacity this week. They used vocabulary such as 'full', 'nearly full', 'nearly empty' and 'empty'! Look at their amazing outfits from World Book Day!!!! We had lots of fun on World Book Day! We made lickable wallpaper, Willy Wonka hats, designed our own sweets and used play doh to make lots of different types of sweets. The children had a fantastic time at the Multi-Skills Inclusion Festival on Thursday. I am so proud of all of them. They showed excellent behavior and commitment! Year 1 loved their trip to Pizza Express. They were fantastic at making pizzas and trying different ingredients. We are all so very proud of them. 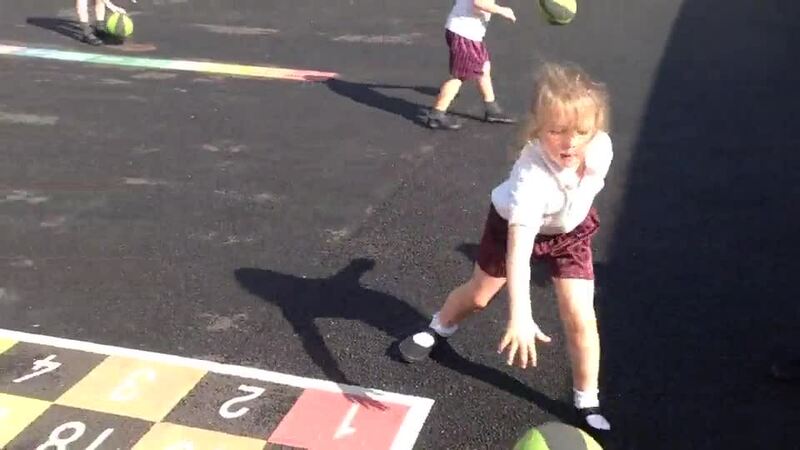 Year 1 enjoyed their first PE lesson this half term. We're doing Dance and they loved doing their Superhero poses! Year 1 have been showing a great attitude towards their challenges! Well done to those children who created a rainbow this week! Another lovely week in Year 1!! We all loved our first basketball PE lesson! As you can see they all tried their hardest and we are very proud of them all !! Well done Year 1!